From the moment that I arrived kerbside at the Taj Cape Town, I was overwhelmed by the opulence and history this hotel exudes. I suppose this is expected from a brand that originated as far back as 1903 from Mumbai, India. The company now has a strong international presence. As of 2018, there are over 100 hotel-resorts, with 84 across India and 16 in other countries, including Bhutan, Malaysia, Maldives, Nepal, South Africa, Sri Lanka, UAE, UK, USA and Zambia. The Cape Taj certainly embodies the unique ‘Tajness’. Cleverly combining an eastern elegance with South African history, the building is quite splendid. 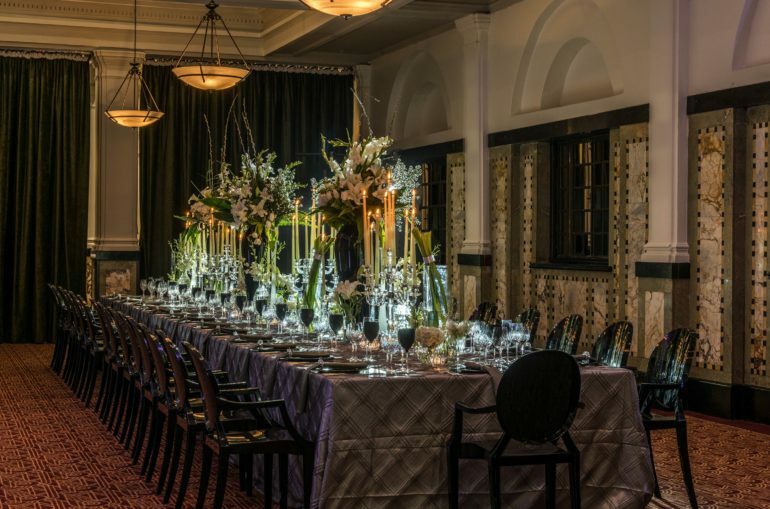 Originally the Reserve Bank of South Africa, the walls have stories to tell of a bygone era and modern-day luxury. The Taj is located in the city of Cape Town by the well-known Company’s Gardens, where the Cecil John Rhodes statue is situated. Opening onto the bustling St George’s Mall, it’s near to many of Cape Town’s foremost attractions and foodie destinations such a Bree Street, along with a multitude of historical hot spots, galleries and boutiques. Appealing to leisure and business travellers alike, the Taj’s location ensures visitors will be fully immersed into this bustling vibrant culture capital. The 176 rooms combine Eastern flare with contemporary finish and each have an enormous King size bed with spectacular vistas of the famed Table Mountain, Signal Hill and cityscape. Personally, I recommend the Luxury Heritage mountain view room for your stay, but for the ultimate royal treatment, the Presidential suite offers unparalleled luxury. It’s rare to find a hotel that’s dining experience is also five star, but I was blown away by The Taj’s restaurant Bombay Brasserie. 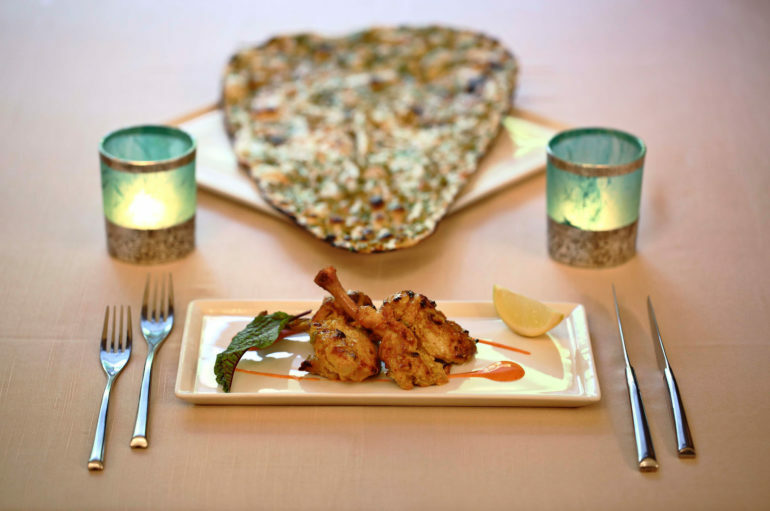 Even if you aren’t staying at the Taj, I strongly recommend making a reservation at this restaurant to experience a South African, Indian fusion like no other! The restaurant has five Indian chefs who elegantly speak the language of spice whilst cleverly sourcing and combining Cape Town’s finest produce. For more relaxed dining, there’s the multi-cuisine Mint, while afternoon tea and the famed breakfast buffet are served in the sky-lit lobby. Additionally, the Twankey Bar serves up a selection of sensational cocktails celebrating stories and spice. 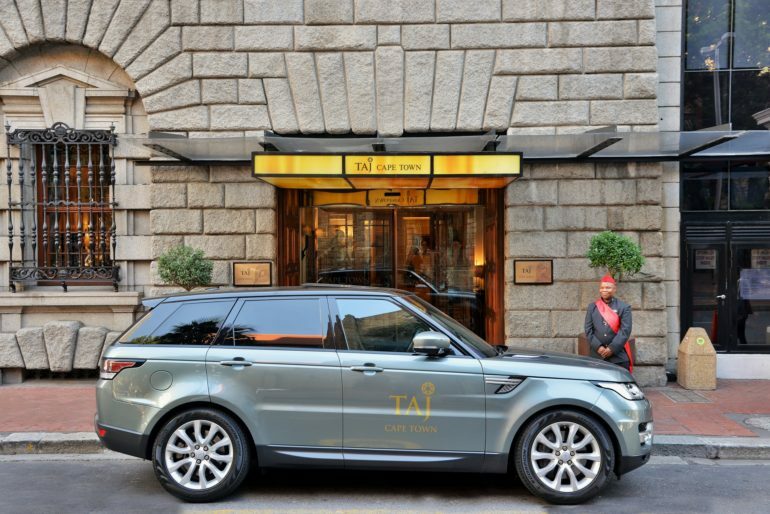 Continuing the luxury experience, The Taj has a fleet of Bentleys and also the new Velar Range Rover to safely and swiftly transport guests around the mother city. Other amenities include a fully-kitted gym, cigar lounge, Taj Club floor, art gallery, library, indoor pool and the Jiva Wellness Spa, where guests are treated like gods and treatments are inspired by age-old Eastern wellness philosophies. The entire Taj experience is extremely luxurious from start to finish and this is an outstanding hotel. Guests are treated like royalty, with every requirement fulfilled to the highest level. I didn’t want to leave, and I can’t wait to go back! SLOANEY TRAVEL FEATURES REVIEWS FROM OUR TEAM OF EXPERTS OF SOME OF THE WORLD’S MOST DESIRABLE HOLIDAY DESTINATIONS. READ MORE HERE.